Need something to fight for? 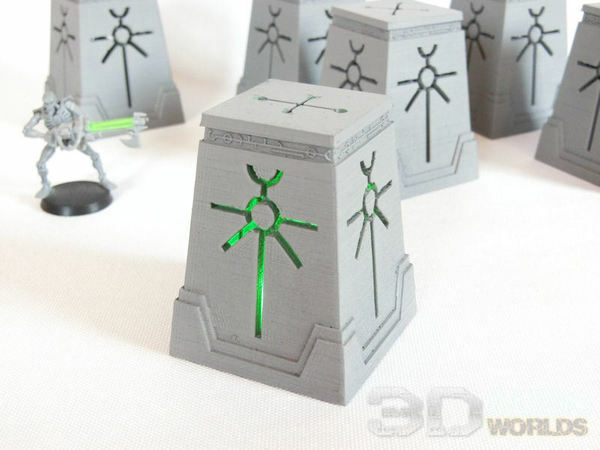 How about our small set of Necron-themed objective markers? 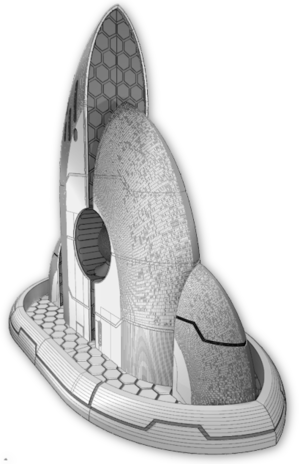 The set contains one body section which can be printed without supports (a few are already built in), and 6 different numbered versions of the top section. 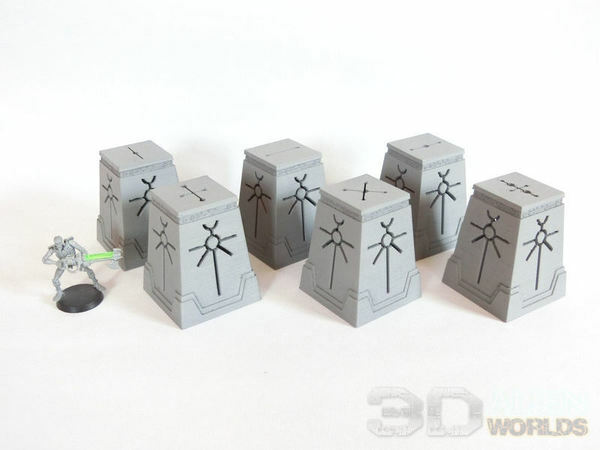 ▲ Our objectives were undercoated black and given a light drybrush of dark silver... and that was pretty much it! 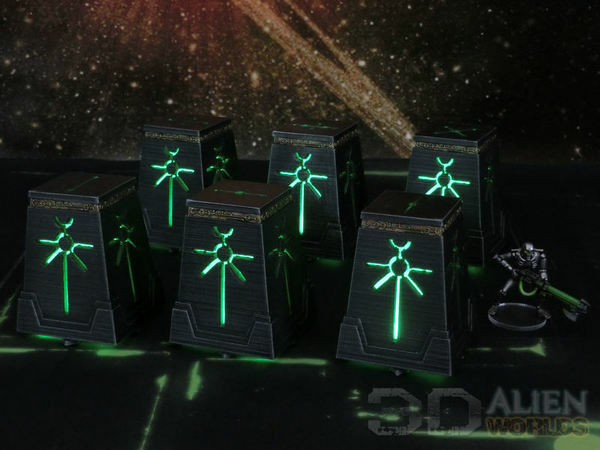 ▲ A green LED inside each one gives plenty of glow, even in a well-lit gaming area. 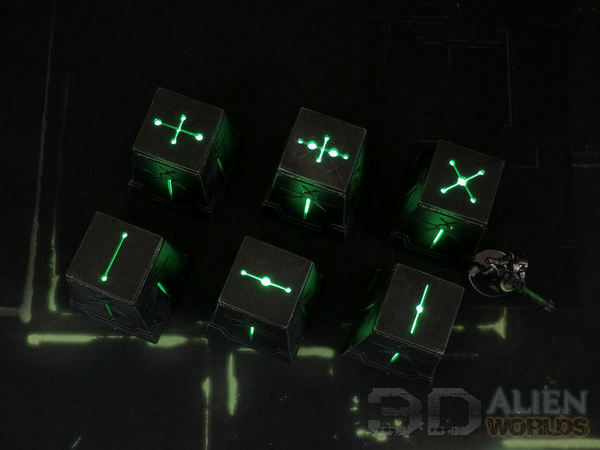 ▲ The top number symbols are also cut-outs, so the glow can shine through for quick identification on the battlefield. 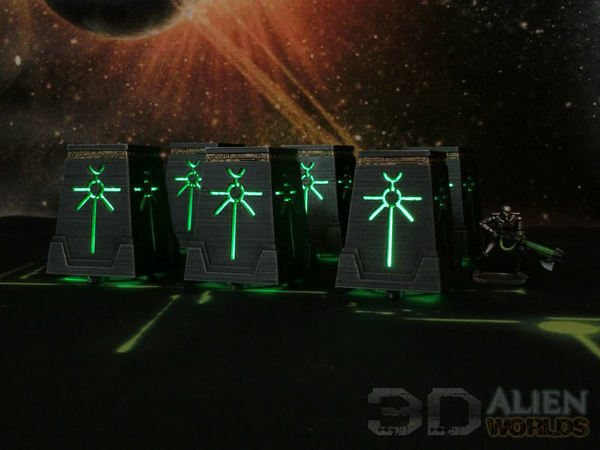 In fact, we've found that having the LED lights flashing makes them even more visible during hectic games! ▲ A properly-lit photo of the objectives for you! ▲ One last photo, just to show that an LED is visible even in full daylight!